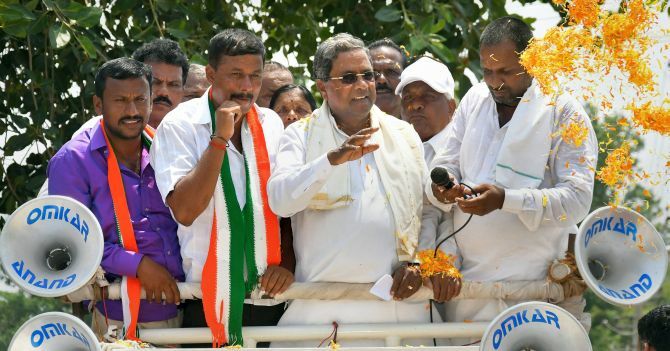 The Bharatiya Janata Party and Congress are prepping for the upcoming May 12 Karnataka polls. According to a recent survey, Karnataka is headed for a cliffhanger in the assembly elections with a clear majority elusive for both Congress and BJP. Rediff Labs analysed the 2013 assembly election results merged with the 2014 Lok Sabha election results to develop a Sentiment Meter for the 2018 electoral battle.